Heat waffles as directed on package. Meanwhile, in medium nonmetal bowl, gently mix peaches, lemon peel and lemon juice to coat. Gently stir in blueberries and syrup. Place 2 waffles on each individual plate. 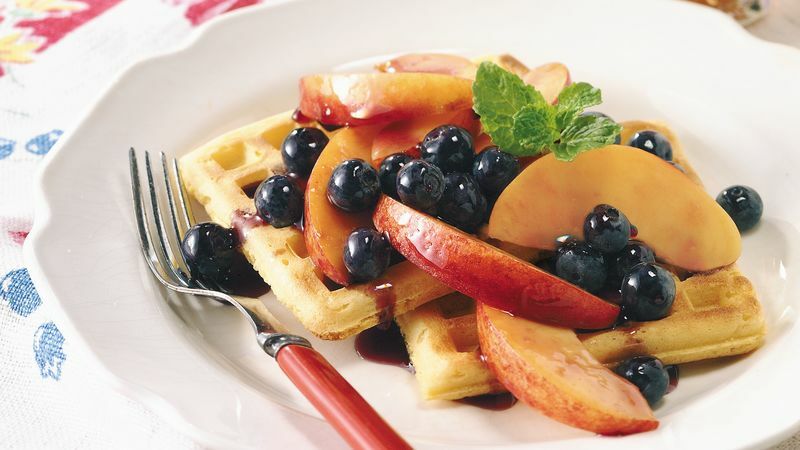 Top with fruit mixture. Vary the fruit with the season. Try fresh strawberries or raspberries with a berry syrup.